Our Android App Development Brisbane team make apps which utilise the latest functionality of Google Play Services and Android SDK to help our customers reach the largest mobile platform on the planet. Google’s Android OS has sky rocketed to be the #1 operating system shipped with smart phones and tablets worldwide. With the release of Android 4 the new Holo Light and Dark interface provide users with a clean and sharp interface into their mobile experience. 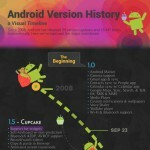 Each Android version is named after a dessert, and the latest version 4.2 Jelly Bean is no exception. This delicious treat of an Android Platform version brings the latest and greatest APIs for Android Development Brisbane. 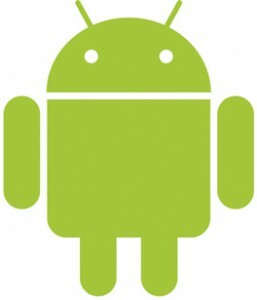 On Android you can publish any app to the Google Play Store without any wait or approval process. This is a huge bonus for business apps which often don’t have main stream market appeal. Using the Google Play Store our Enterprise customers can provide apps to their customers and staff while getting all the advantage of single tap installs and automatic updates over the air. Android is built around a core principal that each application should fulfil a purpose and that other applications can tap into that functionality to provide a seamless integrated experience. By giving users the choice of which application they want to use for a specific task, your application can tap into the Intents system and replace an existing default system app or another popular competitor app. In addition your applications can utilise other existing applications to integrate functionality us having to develop it for you. The possibilities are endless. 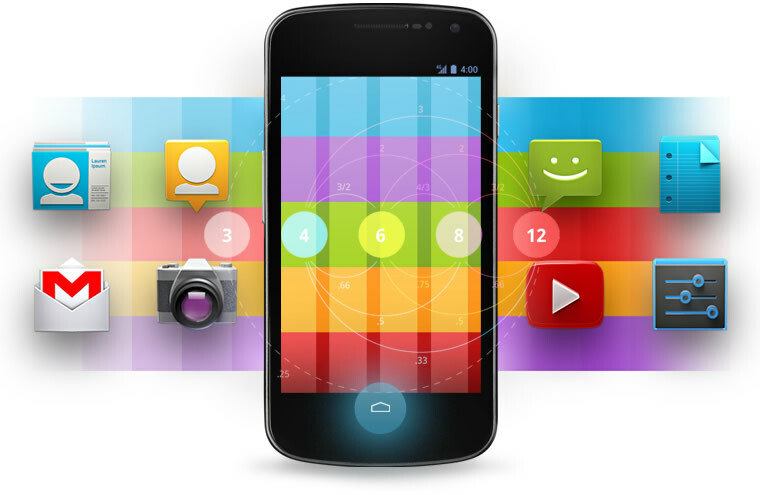 On many new devices such as the Google Nexus range, Samsung Galaxy range, Sony Xperia range and HTC One range running Android 4.2 Jelly Bean, there is a function called Android Beam which utilises NFC (Near Field Communication) technology to provide contact-less integration between devices and services. Just like the way you swipe your VISA payWave or MasterCard PayPass credit card to pay for products, or use your Brisbane GO Card or other transit card to hop onto public transport, NFC allows your customers to tap their phone to an NFC sticker or another NFC enabled Android device and load apps, transfer web links, contact details and even files. Our Android App Development Brisbane team uses NFC technology in our office so staff can simply swipe their phones as they arrive to work, automatically signing into our Time Tracking CRM. Android App Development which provides timely information to your customers is now even easier with Google Cloud Messaging which provides a two way push notification platform, taking all the hard work out of developing powerful multi-cast messaging with 1000′s of users at a time. In-app Billing, Google Play Game Services and Single Sign-on are just some of the powerful APIs which can be tapped via Google Play Services. In addition many powerful APIs such as GCM (Google Cloud Messaging), Google Maps API and the new Fused Location Provider with Geofencing and Google+ integration are now bundled with Google Play Services. This means any device which accesses the Google Play Store has all the latest versions of these APIs so your app can reach every Android customer with the latest functionality available. Due to Androids advanced layout mechanisms we can ensure our apps look great on a variety of devices. Tablets like the Samsung Galaxy Tab range and the Nexus 7 and Nexus 10 and proving to be very popular devices. We can build amazing tablet apps which can engage your users or provide unique Kiosk experiences for your business. Our Android Development Brisbane team has the expertise to deliver apps to both iOS and Android using native technologies. We understand the UX Design principals of both Android and iOS and know how to deliver apps which speak to the user using the correct user interface metaphors. Tabs, ActionBars, Back Button Navigation, Multiple Devices, with different Resolutions and Screen Sizes are just some of the things we consider while crafting our cross platform Mobile apps. We don’t use things like PhoneGap or Titanium which are error prone, second rate and incompatible with the newest APIs when they are released. 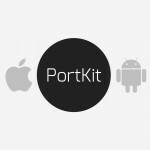 Instead we build our Android Apps in Java with the official Android SDK. You get the advantage of up-to-date and stable code which can be worked on by any Android Developer and your customers get an experience which can only be delivered using Native development. Our Android App Development Brisbane team works with a number of companies to deliver Android Platform solutions for all kinds of needs, including internal staff tools, on the road mobile staff apps and in-store customer acquisition apps.